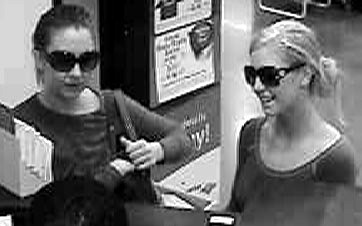 In February of 2007, these two young White women that have come to be known as the “Barbie Bandits” committed a bank robbery in Cobb County, Georgia. Heather Johston, 19, and Ashley Miller, 20, were convicted of the bank robbery along with Benny Allen, a Black man that was the teller in the bank, and Michael Chastang, who was not present but supposedly helped plan the robbery. Based on the disparity in the sentences, the NAACP believes that it’s time to address the lighter sentences that are afforded White people in comparison to African Americans that commit the same crime in Cobb County. 13 Year Old Hailed as the Tiger Woods of Swimming! Today I voted in the Democratic primary. Who I voted for doesn’t really matter, but I got up and went to the polls. As I stood in the line, I thought about all of the people that fought and died for me, as an African American AND a woman, to have the opportunity to vote. Exercise your right to vote, whether you are a Democrat or a Republican, for Hillary or Obama, McCain or Huckabee. Your vote counts.